Wrestling is one of the oldest sports on the continent. Its origin dates back to hundreds, even thousands of years, especially in Senegal, Sudan Nubian, and Southern Egypt. In Senegal, wrestling is the most popular sport. Football only comes second. 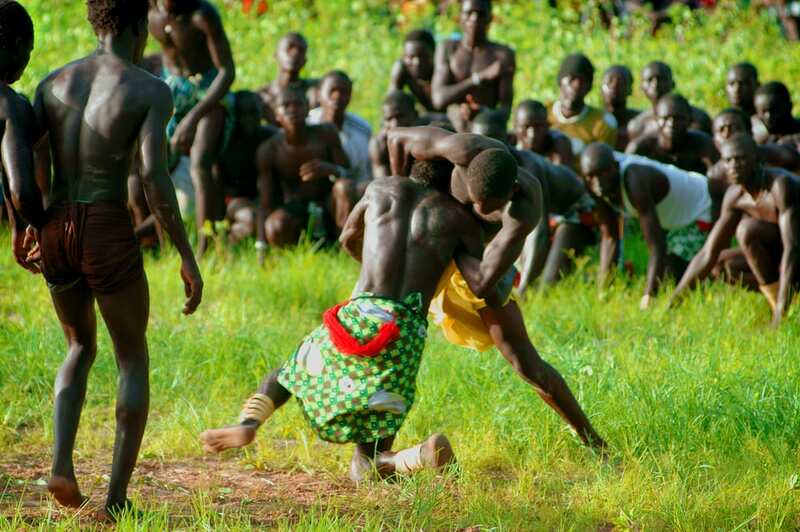 Interestingly, Wrestling has been a major catalyst in the country’s social assimilation and economic progress, apart from being a perfect symbol of the culture and tradition of Africa. The sport’s popularity in this West African country is quite huge that wrestling matches are now being watched in the whole of Africa. Once a sport among village dwellers just to pass the time during the dry season, wrestling is now becoming a multi-million dollar sports. Based on statistics, the up and coming sport receives up to $2 million in sponsorships annually. A national player could now earn as much as $200,000 per match. This amount is so lucrative that many impoverished African youths are being attracted to wrestling which, they believe, could just be the best way to improve the quality of their lives.